Parmenides = the past and future are illusions, the Universe is timeless and unchanging. Heraclitus= endless process of creation, destruction and change. Plato = time is a reflection of the rotation of the heavenly spheres. Aristotle = time is rooted in motion and is meaningful only with respect to events embedded in its flow. Yet time is not motion, it is everywhere. Hebrew/Christan theology = developed linear time versus Stoic time which is cyclical. There are basically three theories of time: 1) realist, 2) relational and 3) idealist. The realist view of time believes that time is a physical characteristic of the Universe, independent of other physical properties. Time would exist even if the Universe were empty of matter and people (a de Sitter-Einstein Universe). The block Universe of relativity is an example of this view. 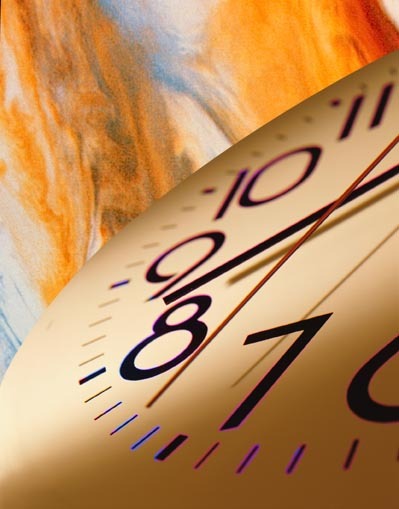 The relational view of time states that time depends on the succession of physical events in the Universe, such that time would not exist in an empty Universe. Where the realist states that the Universe has a clock, a relationalist states the Universe is a clock. The idealist view is that time is a property of the human mind and therefore is an illusion. The passage of time is depends on human observers. In some sense, the block Universe is both realist and idealist as time is embedded in the Universe and that reality is a timeless, unchanging thing (Parmenidean). Frequently, the discussion of time focuses on the passage of time where our views are divided into the Parmenidean versus Heraclitean view. 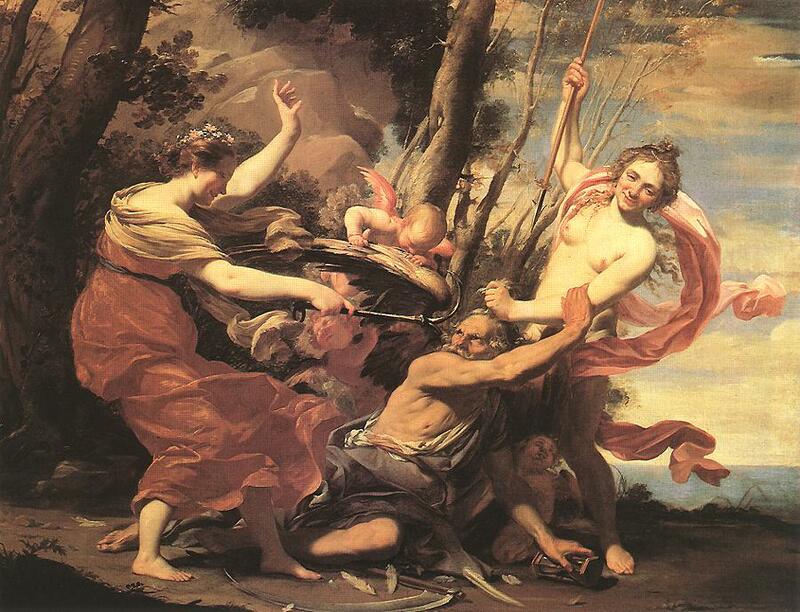 Parmenides believed that stasis is fundamental and change is an illusion. Heraclitus emphasizes flux such that only change is real, permanence is an illusion. 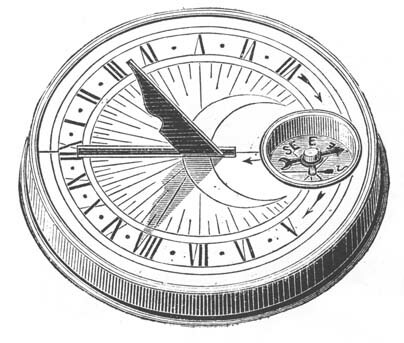 By Plato's era, time is associated with cosmic regularity (motion of the Sun and Moon), although Aristotle objects to this framework since motion is measured in time and time cannot be measured by motion. There are two distinct modes in which all events can be ordered in time. In the first mode, events are ordered by way of the non-relational singular predicates "is past", "is present" and "is future". When we speak of time in this way, we are speaking in terms of a series of positions which run from the remote past through the recent past to the present, and from the present through the near future all the way to the remote future. The essential characteristic of this descriptive modality is that one must think of the series of temporal positions as being in continual transformation, in the sense that an event is first part of the future, then part of the present, and then past. Moreover, the assertions made according to this modality imply the temporal perspective of the person who utters them. This is called the A-series of temporal events. One of the major discoveries of relativity is that the Universe is a four dimensional construct, three of space and one of time, spacetime. It was also a surprise to find that the dimensions of space and time are connected, that changes in one can effect changes in the other. In addition, relativity plus experimental evidence demonstrate that the Newtonian concepts of Absolute Space and Time are incorrect and that spacetime is malleable, although it has an independent existence as proposed by the philosophical view of substantivalism. However, these descriptions of the fabric of spacetime go against our common sense. Space as a void was rejected for many years with the argument that a vacuum is nothing, and what is nothing does not exist (nonexistence is a property of nothing). Aristotle believed that space had to be `dressed', meaning that a continuous covering of material substances are required to make space real. For Aristotle, this dressing was the fifth element, ether. Leibniz continued this idea of the link between space and matter by stating that this is no space where there is no matter, called relationism. For Leibniz, space has no absolute reality and, in particular, no force could act at a distance unless conveyed by a material medium. The view of philosophers up to the 17th century was a Universe filled with vortices of ether, always in contact. This view held till the middle of the seventeenth century when experiments with air pumps convinced many scientists that space could exist without material covering. Newton developed the idea of an `undressed' space, a continuum existing in its own right, absolute and independent of all it contains. Descartes combined geometry and algebra into analytical geometry, a mathematical tool that uses coordinate systems to determine relationships in space (i.e. the Cartesian x, y and z coordinates). Thus, space became, for Newton, the thing that surrounds us, stretching off into infinite, in which objects are distributed. It is spanned by intervals of distance that can be measured in units such as miles or meters. Time is not so simple to understand as space because we can not observe bodies distributed in it. We do not observe time with the same five senses that we use to observe space. The nature of time is a perplexing subject and has provoked endless philosophical discussion. Modern physics deals with time as an addition dimension to our reality. The typical tool to study time is a space-time diagram. In a spatial diagram, a point represents a location in space. In a spacetime diagram, a point represents an event, something that has a location in space and time. An example of an events is a movie time, it has a location (the theater) and a time (the showtime). A line in a spacetime diagram, called a world line, represents something that exists through time, an object. The fact that time is treated as an extra, fourth dimension does not mean that it has identical properties to the other three spatial dimensions. The formula for calculating spacetime distances is not the same as the one to calculate spatial distances (the speed of light comes into play). Causality is also strongly dependent on the distinction between space and time. The special nature of time prevents cause and effect from being hopelessly jumbled. And unlike the spatial directions, the future is at least partially determinate or else all would be chaos. As we discussed in the section on the macroscopic world, the direction of time (i.e. its arrow) is defined by the thermodynamics properties of the Universe. A sequence of events can always be placed in temporal order by observing the increase in entropy of a system, the irreversible process of Nature. Entropy and the arrow of time are strongly linked. Increasing entropy is in the direction of positive time. Thus, there is a natural asymmetry between the past and future directions of the time axis. However, this does not mean that time is moving towards the future, it is only my convention that we select the arrow of time to point towards the future. Memory of the past, and not the future, is another aspect of this time asymmetry. 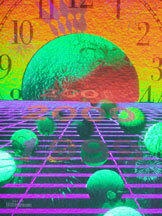 The physical view of time is one where a 4D spacetime continuum exists as one entity. Thus, our everyday notion that time passes or is in flux is an illusion. While this is difficult to understand, or accept, there are numerous examples where our conscious perceptions differ from physical reality. For example, perception of color differs slightly from individual to individual, however, the physical interpretation of color is simply the wavelength of light emitted or reflected by an object. 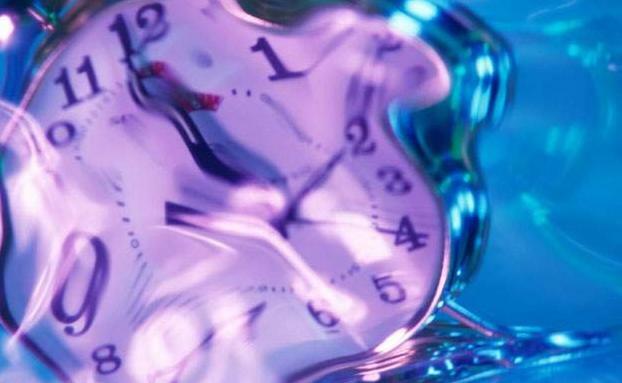 Of course the key moment in our conscious perception of time is the present or now. The present marks the boundary being the past, which we have memory of, and the future which we have little or no knowledge. In a spacetime diagram, the present is indicated by a line horizontal to the spatial axis. As time passes or flows, we represent this by moving the present line upward at a rate of one sec per sec. For human minds, the present line is not perfectly thin. Our perception of time is fuzzy at about the 1/16 of a sec interval. For this reason, single images can be strung together at speeds greater than 1/16 sec to create the illusion of motion and time in videos. Its not uncommon for our common sense view of the Universe to differ from the more exacting view presented by physics. The psychologically manifestation of physical events is what makes up our perception of the world around us. Take, for example, the old riddle of when a tree falls in a forest and noone is there to hear it, does it make a sound? A physics response to this riddle is that the falling tree does indeed make a wave of compression of air. But it takes a psychological view to explain that the compression of air on a human ear produces the perception of sound in the brain. 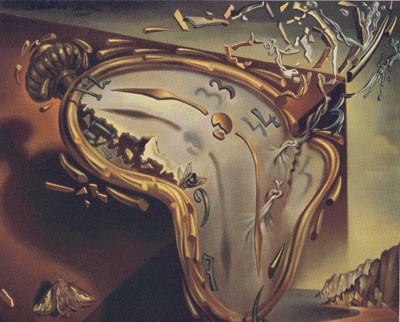 The problem of our perception of time flowing involves a mixture of metaphors concerning the nature of time and the confusion surrounding the ideas of `being' and `becoming'. So far, despite the efforts of centuries of philosophical inquiry, we have been unable to connect the concepts of temporal continuity (states of being) and transience (states of becoming). For example, are you the same person that you were 10 years ago? In some ways, yes, in many ways, no. Physics deals with this problem by claiming that transience is a non-physical peculiarity of living creatures, following the Parmenidean doctrine that the real world is unchanging and transitory experiences are illusions. The concept of `now' was destroyed with special relativity. Einstein predicted, and experiments confirmed, that the definition of the present varyed with observer, and with the motion of the observer. This also confirms the poor meaning behind the phrase `the passage of time'. The notion of time flux is internally inconsistent. Since flux refers to motion, a change in space with time. What does it mean to speak of the movement of time? Relative to what does it move? How fast does time move? One sec per sec is a trivial and meaningless answer. These arguments have led support to the idea that the flow of time is unreal, but time itself is as real as space. Motion through 4D spacetime occurs at one speed, the speed of light. When we have zero spatial velocity, we are moving through time at 1 sec per sec, i.e. our motion is time-like only. As we increase our spatial velocity, our clocks slow, we develop motion in 3D space, which is robbed from our time-like motion. In the extreme, photons have zero time, so all their velocity is spatial. In the original Star Trek series, Dr. McCoy falls through a time portal in a city "on the edge of forever," and changes the past in a way that erases the Enterprise and her crew, with the exception of Captain Kirk and Mr. Spock, who must return to the past to fix what McCoy has undone. Time travel is a well-worn staple of science fiction writers, but not only does it violate numerous physical laws, such as conservation of mass/energy. For example, if one were to send a bar of gold back in time for a year, then during that year there would exist two bars, the mass of one appearing from nowhere. At the end of the year, the first bar, of course, disappears restoring the balance. The English language can't handle time travel. We conclude that the ancestors who made our language didn't have minds equipped to handle time travel. Naturally we don't, either; for our thinking is too dependent on our language. As far as I know, no language has tenses equipped to handle time travel. No language on Earth. Yet. But then, no language was ever equipped to handle lasers, television, or spaceflight until lasers, television, and spaceflight were developed. Then the words followed. If time travel were thrust upon us, would we develop a language to handle it? We'd need a basic past tense, an altered past tense, a potential past tense (might have been), an altered future tense, an excised future tense (for a future that can no longer happen), a home base present tense, a present-of-the-moment tense, an enclosed present tense (for use while the vehicle is moving through time), a future past tense ("I'll meet you at the bombing of Pearl Harbor in half an hour. "), a past future tense ("Just a souvenir I picked up ten million years from now"), and many more. We'd need at least two directions of time flow: sequential personal time, and universal time, with a complete set of tenses for each. We'd need pronouns to distinguish (you of the past) from (you of the future) and (you of the present). After all, the three of you might all be sitting around the same table someday. As can be seen from the example above, there are possible fundamental problems of consistency and causality associated with time travel. The most prominent is the "grandfather paradox," in which you travel back in time and kill your grandfather before you were born, which means you could not have been born to then travel back in time to kill your grandfather. The grandfather paradox as stated is difficult to analyze since it deals with human actions and free will. It is typical of a physics problems to start with a simpler scenario. For example, to understand aerodynamics we first start with understand simple motion, like a ball tossed in the air. For time travel and the grandfather paradox, a simpler scenario is consider a ball tossed through a wormhole, with an exit wormhole nearby in space. A wormhole is a hypothetical tunnel through the fabric of spacetime. Since both space and time are being tunneled, it is theoretically possible to produce a wormhole that not only moves you from some place to another instantaneously, but also can move you back in time. So consider a wormhole with entrance A and exit B as shown below. If we toss a ball into A, it will exit B a few minutes before. We can also orient the wormhole such that the exit trajectory can intersect the incoming path. Thus, we have produced a simple, billard-ball version of the grandfather paradox. If a ball is tossed into A such that its exit trajectory will intercept the incoming ball, then it prevents itself from entering the wormhole and produces a paradox. The origin of the paradox is a logical error in our discussion of the scenario. We have assumed that there was no ball coming out of B when we first toss the ball. But spacetime is a singular thing, it can't be cut up and changed to match our wishes. So our assumption that the ball enters A without interference is incorrect. In fact, if we setup the experiment correctly we find that we must take in the collision with our calculations of how to toss the ball. We end up with a `nudge' rather than a strong collision and all works out in the end. The Consistent Histories approach to the grandparent paradox is the most simplistic and probably hardest to defend. It allows time travel back along the timeline in which the traveler exists, into the actual past of the person. The functional part of the theory simply says that the traveler is prevented from taking any action which affects the past. If you try to kill yourself in the past, something will stop you. This is a painfully deterministic theory and is unpleasant from the perspective that the future of the time traveler is mapped out for as long as he remains in the past. This theory is hard to substantiate due to lack of mechanism. However, there is no proposal for how this theory will stop one from changing history. Will one find that anything one tries to change is immobile and cannot be moved by the time traveler, or will the traveler's hand pass straight through it? These minor questions lead to the question of whether or not one can change anything at all in the past. The simple presence of a time traveler in the past would be enough to make the Vikings freak. This change may be enough to cause a major change to the present and thus raises the question of whether or not light will be scattered off the person. If not, the traveler will not be visible to the people from the past. If one cannot be seen, heard or felt by the past, does one actually exist in the past? This sort of philosophical problem demonstrates that the theory leaves too much open to question to be taken as a rational explanation or excuse. Another possible mechanism for the operation of this theory is that any action a time traveler takes in the past has already been accounted for and become part of history. This means that the actions of the traveler have happened and taken effect before the time traveler has even traveled. This sounds predeterministic, but it allows the traveler to take any action he/she pleases and not affect his/her present, because every action has already been accommodated in the past. None of these explanations can offer a full solution, and better explanations must be found for the Consistent Histories theory to gain respect. It has potential but as yet cannot explain anything like all the problems which emerge.